I Pitaya Fool Who Doesn’t Grow Dragonfruit From Seed! Whenever someone tells me that they’re a black thumb, I often tell them to try dragonfruit. Also known as pitaya, dragonfruit is a hemi-epiphytic cactus that produces large and tasty fruits with neon pink skin and a surprising white flesh that’s peppered with tiny black seeds. These seeds are really easy to germinate, and the patient gardener will one day be rewarded with a fruit bearing plant of her own! (Special thanks to Matt’s Landscape for the photographs of the fruit.) 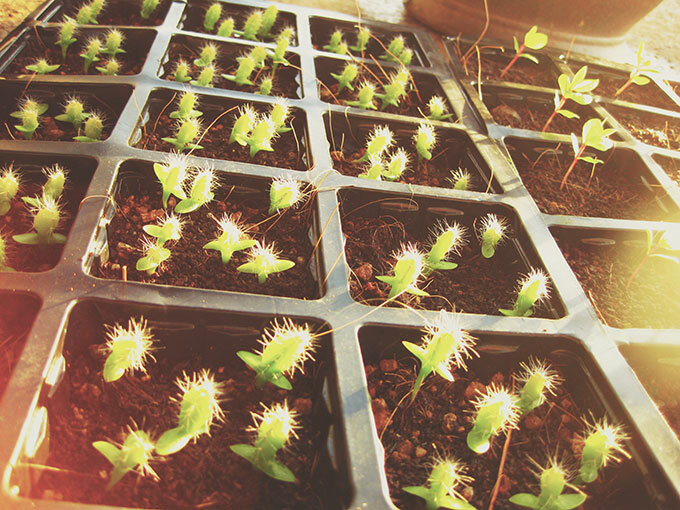 Most pitaya begins life as a cutting from a named variety. While rooting cuttings is the fastest way to get your own fruit, seeds are also very easy to start, not to mention incredibly rewarding! Each fruit has hundreds of seeds, and almost every one of them has the potential to someday become a fruit bearing vine. Almost every single one of the seeds I planted have sprouted, and each of those seedlings is doing wonderfully to this day. Although you can get special mixes for this sort of thing, I simply used potting soil. 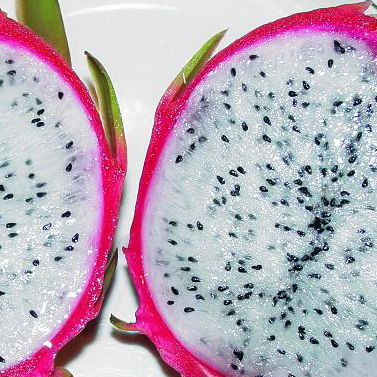 Dragon fruit is the most evocative Thai fruit. It’s sort of like a Dalmatian in a bright pink raincoat – utterly ridiculous, but you can’t stop staring. Certainly there are tastier fruits, but none more gorgeous. Some preliminary research told that dragon fruit grows on cacti, sort of a cactus tree. Full sized, a dragon fruit tree is Medusa-inspired and basically unlovable. In December 2007, I had the bright idea to grow my own dragon fruit. The plants don’t bear fruit for 7 years. “It’s ok,” I told Mother Nature. “I have time”. 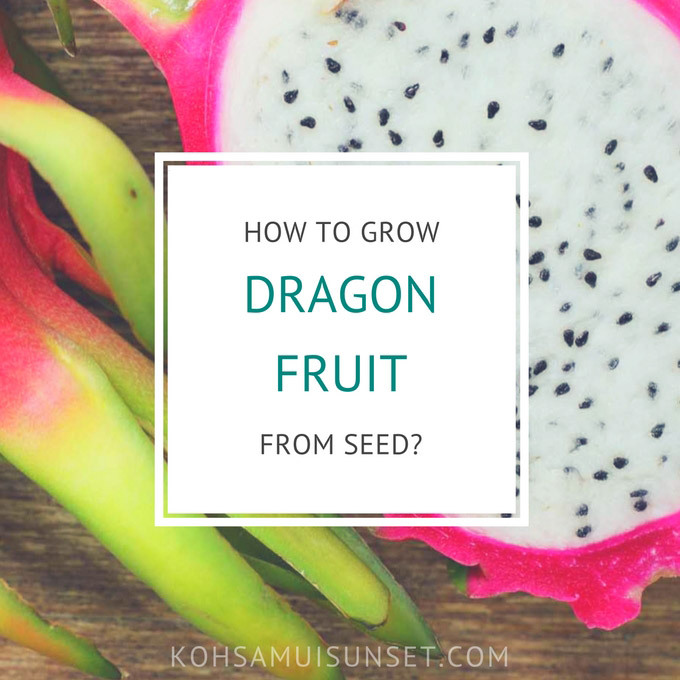 Here’s some not-at-all surprising news: the dragon fruit seeds I planted on Koh Samui have grown about 1,000 times faster than those I tried to grow in “cold country with actual winter”.